Apple cider vinegar is one of the most popular home remedies for a number of conditions, and is often utilized as a powerful cure when common medical interventions offer no relief. It can even be used as a cleaning agent around the house. Health professionals have been utilizing apple cider vinegar to enhance lifestyle changes and target certain ailments for ages, and chances are one of these apple cider vinegar cures can help enhance your own life. Acne – Apple cider vinegar is one of the popular home remedies for acne that has been circulated by alternative health professionals for quite some time. The reason why apple cider vinegar can help with acne has to do with how it naturally kills the bacteria that causes acne to grow. The best part? It can help with mild, moderate, or even severe acne cases. Hair Problems – Rinsing your hair with apple cider vinegar after shampooing can help give your hair a beautiful and healthy luster and shine. It can also aid in certain hair problems like dandruff and hair loss. Acid Reflux – Acid reflux is one of the most common ailments to be cured using ACV. While probably surprising, acid reflux is actually caused by too little acid, not too much – which is what the vast majority of people believe. You may find your acid reflux diminished and soon vanished by simply ingesting apple cider vinegar as it says on the directions (1-2 teaspoons mixed with 8oz of water taken 3 times daily), but increasing the amount used from 1-2 teaspoons to as many as 5 teaspoons may prove to be more beneficial for you. Stay away from dangerous acid-reflux drugs called Proton-Pump Inhibitors (PPIs) as they are dangerous and unnecessary. Strep Throat – Strep throat seems to happen to all of us, but it stands no chance against the power of apple cider vinegar. Perhaps the most effective method for strep throat treatment, apple cider vinegar can help treat strep when you simply gargle with the liquid after it has been diluted in a glass of warm water. The amount of ACV used may vary from person to person, but using 1-3 teaspoons in 8oz of water may be enough. Sinus Infection – Apple cider vinegar is a hailed sinus infection treatment, with countless individuals attesting to the effectiveness of apple cider vinegar against the health issue. One of the most powerful ways to use ACV is to mix 8oz of warm water with 2 tbsp of ACV and 1 tbsp of honey. The sinus infection could vanish within just a few days. Nasal Congestion – Potassium can help decrease mucus production, and apple cider vinegar is full of it. Vinegar also contains acetic acid, which prevents bacteria growth—possibly even those that would cause nasal congestion. Try drinking several times a day, especially before bed: 1/2 cup of apple cider vinegar, 1/2 cup of warm water, and 1 teaspoon of local honey. High Blood Pressure – High blood pressure is experienced by nearly 68 million adults in the United States alone — that’s 1 in 3 adults. But just a few tablespoons of ACV daily for 30 days can makes worlds of difference. People’s blood pressure has gone from 150/80 to 130/80 in just a month while taking 2 tablespoons of ACV a day. Many others have experienced the same scenario, and blood pressure medications are often chucked. Weight Loss – Apple cider vinegar can suppress your appetite, increase metabolism, aid in digestion, and reduce water retention – all of factors having to do with weight and weight loss. Over time, you should see improvement just from adding ACV to your daily diet. Open and Clean Pores – To clean your pores, soak cotton balls in apple cider vinegar and dab/place them on your face. This will help to clean your pores and improve skin health. Cellulite and Stretch Marks – Mix apple cider vinegar with 2 parts water and a bit of honey and rub on the areas needed, then rinse with warm water. It won’t get rid of your stretch marks for good, but it should help reduce their appearance. Foot Problems – Apple cider vinegar can also solve foot fungus problems, as well as athlete’s foot and foot odor. In order to reap the benefits, leave your feet in warm water with apple cider vinegar and allow to air dry. Hiccups – One 13-year-old girl with chronic hiccups found that a mixture of ACV and sugar was able to provide hiccup relief. Hiccups are often caused by either low stomach acid slowing the digestion of protein, fatty sugary foods slowing the stomach from emptying and encouraging fermentation, or eating too much. ACV can be a great solution for hiccups restoring the acid balance in the stomach and eases irritating spasms of the diaphragm. It also triggers nerves in your throat and mouth which are responsible for the hiccup reflex. Swimmers Ear – Apple cider vinegar is a great disinfectant. Create a mixture with rubbing alcohol and water for maximum effect and use it as an ear dropper. This is considered one of the best home remedies for swimmer’s ear because it acts faster than any other method. Common cold – ACV is a fantastic immune booster, protecting and strengthening your body against the common cold. Of course there are other apple cider vinegar cures other than the ones listed above. Apple cider is truly a great home remedy since it is all natural and generally quite cheap. Make sure you buy high quality organic with the ‘mother’ when shopping for the right brand. You truly don’t want to miss out on the benefits of apple cider vinegar has to offer. what a paranoid idiot you must be!! I have been taking organic ACV , 1 tablespoon a day for almost a year. Exposure to flu , colds, viruses have not botherid me one bit. Swear by this stuff!!! Please remove the share ruler on the side, it is totally in the way of even taking a picture of the article. Too many ads keep appearing in the middle of article. my sister makes a billion dollars an hour working form home !!! youre so smart !!!!! youre my hero!!!! WHATS THE BEST CURE FOR YEAST OR FUNGII IN THE EARS?STARTED AS SWIMMERS EAR AND HAS LASTED 6 MONTHS. l have a lump and pain near my big toe and now have pain in my wrist, it feels like crystals, l take ACV for my high blood pressure, do you think it’s caused these symptoms. has anyone else had this happen to them? @cathy——You may have Gout. Check it out. If so, the ACV has nothing to do with a Gout condition. An old remedy for gout, as told by my 84 year old adopted father, is to put Epsom Salts into the hottest water your feet can stand and soak the feet for as long as possible. Also, you should cut back or eliminate sugar and red meat. Wish you the best. Excellent Share! An exciting dialogue is well worth comment. I think you ought to compose much more on this matter, it may well not be considered a taboo issue but typically individuals usually are not enough to speak on this sort of topics. You both use all caps and both can’t spell. Morons of a feather flock together. l have been taking ACV and my blood pressure has come down so no more medicines. Ihave too much reflus.Is ACV good or bad for that? Thanks for the awesome post on ACV! I love it and use it for everything you mentioned + more. I started drinking ACV to see if it would help my high cholesterol. I was also starting to experience Hot Flushes with Menopause which was getting awful, particularly at night. I noticed the Flushes reduce the very next day and I am now taking morning and evening doses of 2 tablespoons in water (4 tablespoons) daily and the Flushes are almost non existent. Please, anyone experiencing these horrible Flushes with Menopause try it. I don't know why I works but it works and I am over the moon. Hope it helps lots of women out there. Thanks, Christine-I still have hot flashes since 2003-I will try the ACV! I also notice I sweat on my face more-ugh. Some people I Know take daily for gout(a form of arthritis) Also for swimmers ear, cure,.according to the book, Cure For All Diseases by Hulda Clark,rubbing alcohol has too many additives,better to use Everclear,98/99% pure grain alcohol or sugar cane alcohol that is used in tinctures. I used to wear aluminum foil headgear every time I went outside to stop the government from stealing my ideas but then I started using apple cider vinegar as a shampoo and now the government can't get inside my head. Is that because the acid went to your head? This weekend, I suffered from deep pain in my lower intestine area. Possibly bad bacteria from gas station coffee … Coffee tasted a bit strange, cramps started with an hour. I assumed pain would pass. It got worse. After 3 days in deep pain, I called a doc office. While waiting for an appointment, I took one TBL of ACV w/mother … and felt INSTANT relief. I repeated every 3 hours. 4 doses up to bed time. Pain gone 95% by next day. Totally healed within 36 hours. Never went to doctor. Not necessary. STUNNING RELEASE of WICKED PAIN. I'm a believer and plan to stock pile ACV!!! ACV APPLE CIDER VINEGAR IS A GOOD HOUSEHOLD PRODUCT THAT SHOULD BE USED AND BENEFIT FROM THIS ARTICLE IS WELL WRITTEN ALSO CALLING YOUR ATTENTION TO THE MANY USES AND BENEFITS OF ACV.USE AND ENJOY USING IT BUT IT MUST BEDILUTED BEFORE DRINKING IT. For a nice and treating epidermis cancers (BCC's) along with Apple company company Cider White vinegar in addition to Eggplant. We experimented with 1 mug White vinegar for each fifty percent an Eggplant mixed in a blender. My left forehead cleared (4 lesions)in 5 several weeks, and also a big lesion upon my personal suitable forehead continues to be diminished for you to fifty percent it's first sizing in 9 several weeks. In the identical period, my personal sis ended up being treating the woman's BCC's along with Aldura. In the remedy, the woman's confront out of cash available in a red allergy regarding several weeks. The actual White vinegar in addition to Eggplant technique is a lot gentler, but appears just as efficient. Apple Cider contains pectin, pectin has been reported in the mid 1990's to be anticancerous as well, Apple Cider Vinger does wonders for antiaging as well. Wow thank you for this information! That goes to show that apple cider vinegar is really a product that has so many uses. I got rid of my yeast infection with apple cider vinegard.. It may not work for everyone but this one way to cure yeast infection. it can't hurart you try it. but it is possible that coconut oil help you too. if you check the internet -ggogle it or check youtube you can find a list of benefits or things you can do with it. They also shell booklets. ACV cleared up my bladder/yeast infection in 48 hours! Ac Vinegar is great for just about anything…. last decade and a half…. So, bottom line, I give it 2 thumbs up…. Actually my dentist in Jackson tn told me that during the ancient times people are using vinegar as their gargle to remove any bacterial formation. i just want to ask if the apple cider vinegar can cure my black scars of acne in my back and shoulder???? I have yeast spots on my neck and shoulders..could this help me? mira te cuento algo que de verdad funciona mi esposo cojio hongo la cara el cuelo los brazos era terible fuimos al medico y gastamos mas de 300 dolares y para nada sirvio te dire que busque una receta que fue un milagro tu cojes un pote de crital y pones uun poco de minagre un poco de alcol y un poco de agua oxigenada por partes iguales los pones el el frasco de cristal lo meneas y con algon le lo aplicas en las areas afectadas 3 veces al dia y te prometo que te curas!! this lady is saying her husband got fungous on his arms. He went to the doc. expend lost of money $300. and it didn't cure it. Someone gave her a recipe: in a glass bottle or jar mis equal parts of alcohol, vinegar & hydr. peroxide mix all. with a cotton ball apply it int the affected area. it will cure and clear the skin. probably yes but you can also use tree tea oil or Vicksvaporub. You probably are lack in some vitamins or minerals or maybe probiotics. Most instructions say to dilute the ACV in water. Is this necessary? It's so much easier just to take a tablespoon or so straight. I drink three undiluted or strait shots of ASV per day, some days up to five depending on how I feel. Usually morning noon and night but if I feel sluggish, or ill I increase the dose. I have been sick since 2005 with chronic pain. I have experienced absolutely no negative effects, but sure have the positive ones. Cheers! Taking it straight is not recommended. It will eat the enamel off your teeth.. Dilute with water. it is better to mix with water, as he/she said it can 'eat ' the teeth enamel (its acidic) the same as lemon or other abrasive products. will it help kidney infections? How about using ACV as part of a neti wash? If it's good for strep, immune, colds, etc., seems it would also work to kill germs in the nasal cavities. A weak solution of water and ACV + neti salt. Has anyone tried this? I only use water+ salt, NO VINEGAR … that's what the doc. told me. I have shingles, and I'm doing both. I have a witch's brew I have concocted for a topical application. I mix a little ACV with various things, including tea tree oil, colloidal silver, cayenne powder, and lavender oil (which gives the whole mess a better aroma along with helping the stinging). As soon as I can afford it, I'm getting a colloidal silver generator so I can make it at home. As for ACV, I drink it, as well. can vinigar help MRSA and how? It might if there was some way to keep an ACV saturation on the infected area long enough to kill this type of stubborn infection. Problem is that once the ACV dries the benefit is obviously compromised. Try Silver Hydroxide (colloidal silver) gel. This works really well for the treatment of MRSA. I back that up with the liquid treating it from inside and with the topical solution. The combination works wonders. Shop around there are many retail and online sources. The prices and quality vary from place to place. Sovereign Silver is a trusted brand name carried at many locations. This sounds great, I'd love to try it to treat my acid reflux, however I've also read that it can do damage to the enamel on your teeth? It can damage the enamel, i have patients with serious enamel erosion and terrible stain brown stain. I would suggest not to brush teeth about an hour or two after drinking ACV. And always dilute. ya, maybe drink it from a straw… direct to the throat…that saves your teeth. for acid reflux you should change your diet. NO FAST FOODS, NOT FRY FOODS, NO spices, specially hot chiles sauces . possible no milk products (if you are allergic) and no gluten products (if you are allergic to gluten). still your diet should be low in red meats and carbohydrates. drink water with lemon, VERY IMPORTANT TO HAVE ALKALINE MEALS…google for alkaline foods. also buy water that has alkalinity 8.00 – to 8.80 check in the supermarkets they shell them. At least until you feel better. Anyone knows if apple cider vinegar and apple CIDER vinegar are similair? Its probably Bragg. Its the cloudy stuff in the vinegar, kind of akin to pulp in oj.I have heard its better for you with the Bragg, but I am not sure why. Oops Bragg is the brand the mother is the pulp. Sorry for my dyslexic brain! Does it cure genital warts? Yes. Put it on a cotton ball and attach it the wart with a bandaid or duct tape. Seriously. Keep it on as long as possible and in a few days the wart will turn black and peel off. ACV is an amazing heartburn cure. I drink a ACV, honey, and filtered or distilled water mix everyday. The mix I use is a little stronger than what is "recommended" but sometimes you just need to jump in. My mix is: in a 20oz water bottle pour 1/2 inch of ACV (I use Braggs) then pour approximately 1 Tablespoon honey, then fill with distilled or filtered water. Shake until honey is well mixed in. When I apply ACV to my skin I dampen a cotton round with it and wipe my face, concentrating on any acne or open pore areas. Will it get rid of skin tags? Can it be taken if you have Pancreatitis, acid reflux due to Celiac? you really need to ask your doctor when you have a serious illness. You probably need to change your diet if you have acne … no read meats, no milk products, no carbs: NO pasta, bread, rice, potatoes, flour, etc. It is also used as a detoxification and weight lose. I used it in capsule form and lost 15 lbs. I have never seen the capsule before. Where do you get those? Will they also help with acid reflux? CAN you give more information? how you are using it? what kind of capsules? thank you. ACV is good for animals also- improves their fur. Could you please tell me how to use it for detox? Put 1 tablespoon in water 1 or 3 times per day. One or more cups in a bath for 20 minutes. I am a professional pet groomer. I use it as a rinse on most dogs. It takes care of the stinky dogs, and softens and shines the coat. Make sure when you're looking for this stuff you get the Bragg Organic Brand with "the Mother"
Anything else is just a half-step above pharmacological megadeath. The U.S. government commissioned a series of multi-gazillion dollar studies which showed this to be ineffective. Of course it showed that. The government sponsored it and they want you to buy FDA drugs! Cures urinary tract infections as well; drink a few ounces mixed with water on an empty stomach. 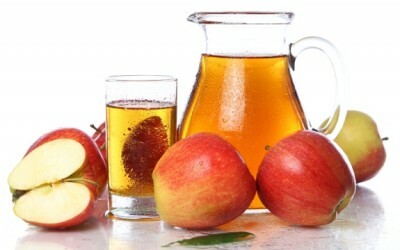 Apple Cider Vinegar works great for acid reflux problems. Take a shot at night if your stomach is upset, it will settle things down and allow you to sleep without the reflux problem. Apply it with a cotton ball to sunburn to take the burn out. Works better than anything you can buy over the counter. I read Folk Medicine decades ago, written by Dr. Jarvis. I've used the apple cider vinegar in water almost every day (only I don't add the honey, as he prescribes). was what I used with one of my clients which reduced his blood pressure from 184/128 to 110/74 in three days. I have been using acv for one week because I had seen on Dr Oz it burns belly fat>> I had an appt at doctor and my blood pressure normaly 140/90 was 100 /62 went back 4 days later 100/75 before taking meds, Now dr has lowered my dosage wants me to come in once a week to monitor.. totaally unexpected also the energy blast is great! Ill try to keep this short. The average American carries 11 to 14 pounds of impaction in their intestines and colon at any given time. Apple cider vinegar breaks out this concrete like substance. The benefits are obvious. Apple cider vinegar is my first choice of treatment for almost everything but this article gives me a good idea. Put the vinegar in a nasal mister or inhaler. True. The impaction is caused mostly if not entirely by undigested red meat, which humans are designed to process very little of. Because most do not eat enough fruit, veggies and other fibrous plant foods, which also contain important enzymes, this stuff can build up until it weighs 20 pounds OR MORE. Did you try the acv in a nasal spray? I have been treating skin cancers (BCC's) with Apple Cider Vinegar and Eggplant. I tried one cup Vinegar per half an Eggplant mixed in a blender. My left forehead cleared (4 lesions)in 5 weeks, and a large lesion on my right forehead has been reduced to half it's original size in 9 weeks. During the same period, my sister was treating her BCC's with Aldura. During the treatment, her face broke out in a red rash for weeks. The Vinegar and Eggplant approach is much gentler, but seems just as effective. how do you apply this mixture? and how long does a batch keep/last? Does anyone know if ACV is good for rosacea? And how would you use it. It helps to know what is causing the rosacea. In my case it was a candida overbloom. Kill the candida and the rosacea goes away. Antibiotics were the cause of my candida overbloom. Candida is rampant in the US due to our use of antibiotics and yet I was never tested for it. I researched on my own and then found a naturopath who knew how to treat it. Alcoholism can be a cause because it allows candida to grow. Wine and beer feed candida. it makes sense when he says that candidi is related to rosacea. i had bad rosacea when i had candida infection too.And candida could be worsen when you take tha acidic food, and you have stress related issues. less sugar , white bread. body ph has to be balanced. heat too makes it worse, maybe the fungus grow more. people wt rosacea also may have candida and dandruff…. !/4 of a shot glass of apple cider vinegar, diluted with 3/4 shot glass water, taken after meals aids in digestion and will help prevent heartburn. It also helps with sugar spikes if you take 2 tsp in 8 oz of h2p before a meal. I does keep it down plus all the other good things it's used for. Only if its the middle leg.